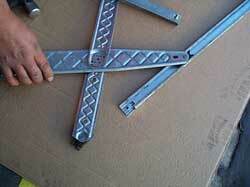 The manual window regulator is removed from the door through the large access hole. 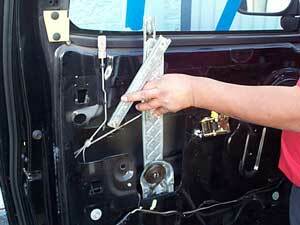 The channels that were bolted to the door and glass need to be reused on the new electric regulators. 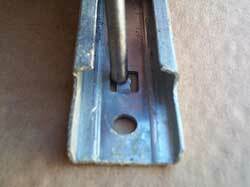 There is a small tab towards the end of the channel that needs to be flattened with a hammer and punch so that the skates can slide out of the channels.